Mrs Richmond teaches P1 - P3. 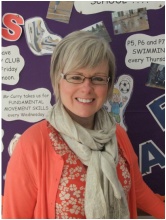 She has been teaching for nearly 30 years, starting her career in Cookstown Primary School. Mrs Richmond trained at Stranmillis College, Belfast. She says, although her job is a hectic one, she loves life at ﻿﻿Bellaghy Primary School. Mrs Cameron teaches P4 - P5. She is an expert musician and she has had great success with our school choir. 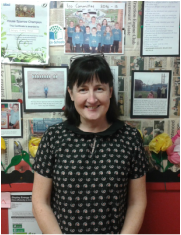 She has been with us in Bellaghy PS for nearly four years.